Visiting a museum is not the most anticipated day out you can imagine in Las Vegas. However, you will be quite surprised to find they have many museums which offer things to see you can’t find anywhere else. For all ages, there is a museum that can be full of exciting and sometimes a little whacky. If you are out and about you should make a point of checking out the Las Vegas Museums as you won’t be disappointed. Here are samples of what you can expect to find on your travels. For any petrol heads, this is the epitome of what muscle cars are all about. Since the beginning of time, Carroll Shelby has been churning out some of the very best examples of vehicles which have been adored by everyone from any walk of life. Another one for the petrol heads or anyone who enjoys looking at what can be fabricated. From cars to bikes, near enough everything is handcrafted under the eagle eye of Danny Koker. If you like flames, there are no end of vehicles which are nothing but. Some of the vehicles might not be to everyone taste,but it is a fantastic insight to American ingenuity and craftsmanship at its very best. This was started as a non-profit organization and set up to give all the old pinball machines a home rather than being dumped. The place is ram packed with lovingly restored machines which have been donated by the places they used to have a home in Las Vegas. For little kids or the big kids in all of us. This is a place you can while away an hour or two and leave with a huge smile on your face. Much the same as the Pinball Museum, the Neon Museum, has taken all the old signs and displayed these around the various areas. Not all have been restored,yet it is easy to see how Vegas used to look in yesteryear before the new signs were hoisted into place and these oldies were gracefully retired. If it wasn’t for the Mob, there might not be a Las Vegas so hats off to these guys who had a vision. The way they achieved it might not be the best way to do it,but it has built a place where everyone can find something to do. The Mob Museum is a true testament to the characters of the golden oldies. Having interactive exhibits, you can relive the era and imagine you are Bugsy or another colorful character who wielded a machine gun in the face of adversity. This is a minor sample of what a family can visit. The range is so extensive it could fill much more space than here. 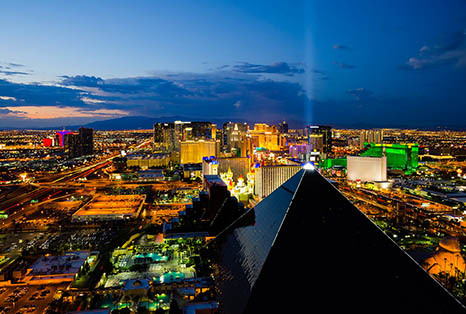 Half the fun can be choosing one or two of the museums around Las Vegas. Now that is something for the family to consider over breakfast.